Hyundai has unveiled the Ioniq EV at Indian Auto Expo 2018. The car can run for 200 kms in a single charge; produces 118 bhp peak power and 297 Nm peak torque. On the first day of the 2018 Indian Auto expo, Korean Automaker Hyundai showcased its Ioniq EV. The car was showcased alongside Hyundai i20 facelift and Hyundai Kona e-SUV. 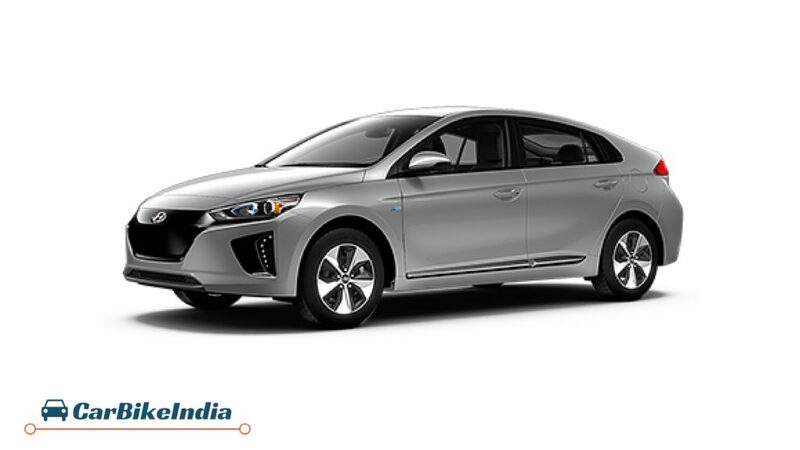 Ioniq, post the launch of Kona EV will mark Hyundai’s expansion in the electric vehicle segment in India. Due to India’s target of facilitating all electric mobility by the year 2030, Hyundai has now confirmed that it will not be bringing any hybrid offering to the country, instead Ioniq will be introduced as an EV even though globally, the car is also available with hybrid powertrain options. This decision might have been the result of increase in taxation of hybrid vehicles in India. Just like the Kona SUV, even Ioniq will be offered to the Indian consumer base as a Completely Knocked Down version of its global counterpart. This is supposed to help keep the overall price of the electric sedan competitive in comparison to its rivals. Even though Hyundai has not revealed the price of Ioniq EV, we expect it will be priced under Rs. 20 lakh when launched.